Women on a Mission: Mom Edition: IT’S TIME…POTTY TRAINING TIME! My Mur-Man turned 2 over a month ago…I can’t believe it! Time flew by! Mur-Man next to his "2" key! 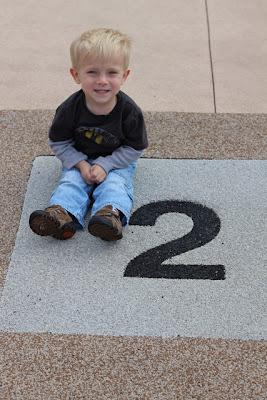 And turning 2 marks a milestone for Steve and I. Two=potty training time! We believe Mur-Man is ready. He definitely talks about pooping in a toilet and lets us know when he has done the job (in his diaper). We did run this by our daycare provider who has been providing care for children for over 30 years. And she gave us the thumbs up. 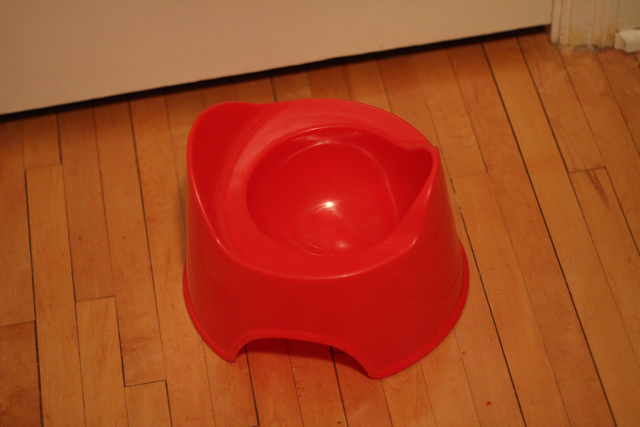 Our IKEA potty chair...ready for Mur-Man! We actually had planned to start several weeks ago, but Mur-Man got sick, Steve got sick, and life just got in the way. My good friend and WOM-MOM follower Holly actually starting potty-training “Super F” a few weeks ago and I hear he is basically done! I sure hope Mur-Man is that simple. My guess is…NOT! I did send Steve to the store the last time he was in big city, ND (this happened to be without me). I gave him strict instructions to go to Baby Gap and buy the XXS underwear. According to Holly, they are the BEST! My hubby did awesome and found some X-MAS underwear for 50% off plus on Tuesday educators get an additional 25% off of Baby Gap (THRIFTY TIP!). So the underwear are purchased and I told Steve this weekend is start time! I promise to give reports WOMS! WISH ME LUCK! We continue to work on this with the Parkster. He is so stubborn, but has finally decided that peeing on the pot is not so bad-no #2 yet though. Good luck!! !